HEATEC EHI HEATERS are commonly known as electric circulation heaters. They are used mainly by companies engaged in manufacturing and processing. 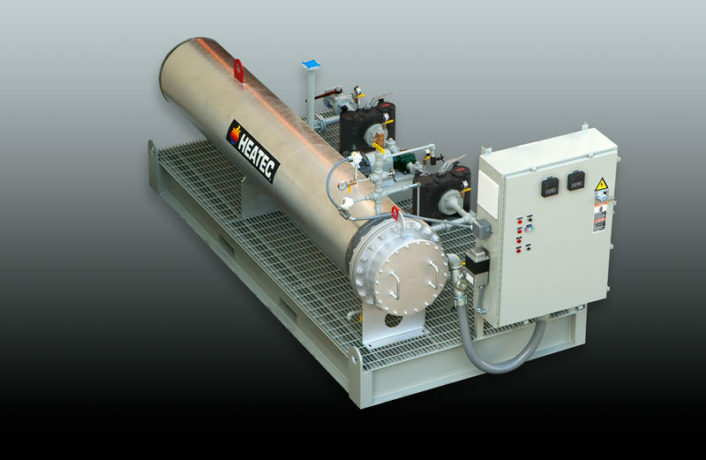 Heatec offers a variety of electric heaters that can be used to heat thermal fluid systems, and other equipment. HEATEC EHI HEATERS are commonly known as electric circulation heaters. They are used mainly by companies engaged in manufacturing and processing. This type of heater is popular due to its small footprint, high thermal efficiency and low maintenance. The heaters can be used to heat thermal fluid that heats other plant equipment. Or they can be used to directly heat a liquid or gas product that flows through the heater, including chemicals, oil, water, air, nitrogen and steam.